The act of giving birth in water is so incredibly simple. A mother submerges herself in warm, body temperature water during her labour. If she feels like giving birth in that warm buoyant state, there is no need to ask her to leave the water. The baby has grown in a fluid environment for the past 9 months. Babies adjust very well to being born in a birth pool. Water birth is miraculous. Human beings are comprised primarily of water, and many special characteristics we have link us to aquatic mammals, perhaps carrying the memory of a time when the human species had an “aquatic interlude.” A three-day old fetus is 97 percent water, and at eight months the fetus is 81 percent water. By the time a human has grown to adulthood, the adult body is still 50 to 70 percent water, depending on the amount of fatty tissue. How does water become clean enough to drink ? Once water is received from the source it needs to be treated before we can use it. In the previous sections of this module, you learned about microorganisms that need to be filtered out of drinking water. Now well take a look at how a typical water treatment plant purifies our drinking water. The four processes commonly used to treat water are screening, coagulation and settling, filtration, and disinfection. When water is taken from the source (Like a lake or river), wood, fish, and plants may still be present. These things arescreened out as the water is drawn into the plant. If the source happens to be groundwater, the screening process isnt as vital since the layers of the earth that the water travels through act as a natural screen, removing large contaminants. When the water reaches the plant it is coagulated and settled. In this process, water is mixed with aluminum sulfate (alum) and chlorine. The alum forms sticky globs, which attract bacteria and other impurities. The chlorine kills germs and improves taste and odor. The water and the globs then flow into a sedimentation basin where the globs “settle” to the bottom and are removed. Next, the water flows through special filters made of layers of sand and gravel. The gravel layer of the filters is about 1 foot deep and the sand layer is about 2 ½ feet deep! This filtering removes any remaining particles left in the water. During disinfection, disinfecting chemicals are added and chlorine is used again. This process kills any surviving germs and keeps the water clean over time. In some water treatment systems that use ground water, this is the only method needed to treat the water! 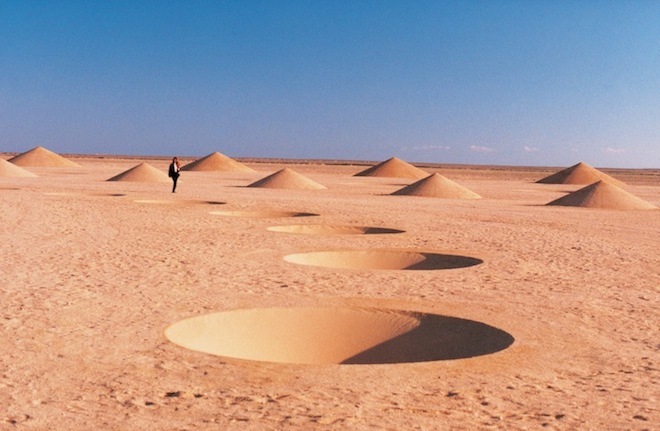 In 1997, she joined with industrial designer Alexandra Stratou and architect Stella Constantinides to create a breathtaking spiral made up of alternating conical dips and protrusions in the Sahara Desert, near the Egyptian town of El Gouna just off the Red Sea. 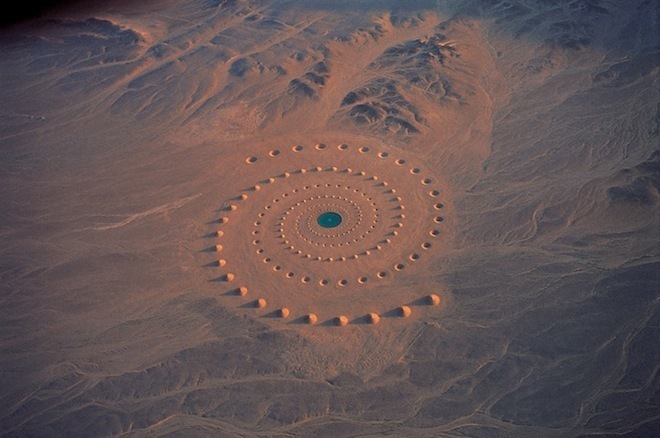 The project, known as Desert Breath, spreads over one million square feet of sand. While the installation is still visible from the sky, there are marked signs of weathering. A body of water that once acted as the work’s center point has since evaporated. The earthen mounds have flattened over time, and cracks can be seen on the overall surface of the piece. For the artists (known collectively as D.A.ST. Art team), Desert Breath’s impending demise is the whole point. Ever wonder if there was a use for geometry and constantly questioned your teachers only to be told to just do your work and remain silent? Yeah I know the feeling but now I know that geometry and math play a very important role in over-standing patterns all around us. Every reaction in the body that is a part of our metabolism is mostly a chemical reaction. These chemical reactions are carried out by small protein molecules known as enzymes. These enzymes are responsible for bringing about various reactions, like hydrolysis of fats and break down of large carbohydrate and protein molecules. However, these enzymes require a specific environment to function to their optimum potential. This environment primarily consists of the pH at which the enzymes function. The pH levels in the body vary according to the site and the organ involved. Details about the same are given below. 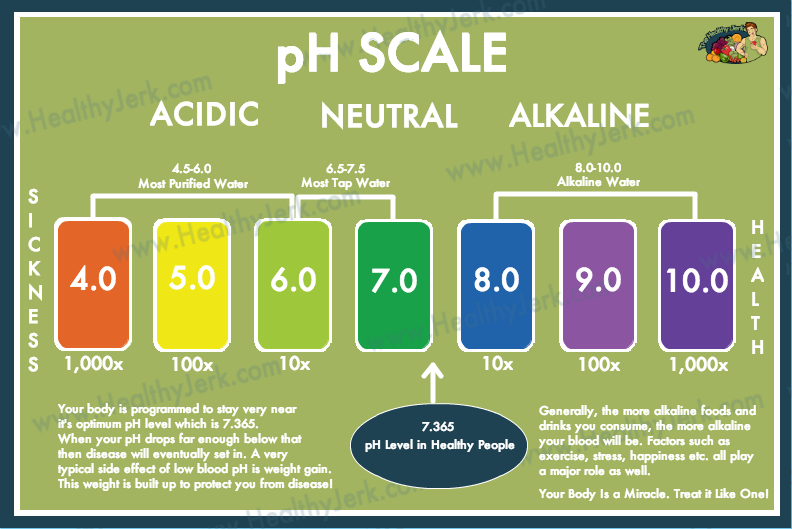 In general, the pH level of the blood is slightly alkaline, at 7.4. The pH range of blood is very very narrow and usually, it does not go anywhere beyond 7.35-7.45, with the ideal pH being 7.4. 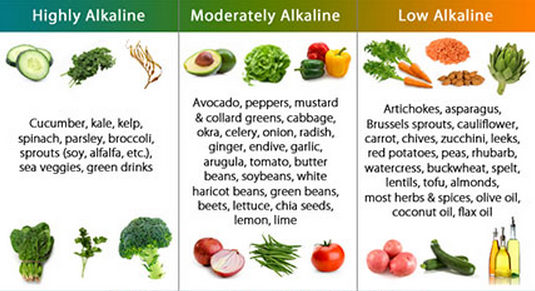 Basically, when an individual is healthy, then his body pH is balanced between an alkaline and an acidic environment. However, the pH for various parts of the digestive system varies according to the organ and the need of the enzymes. Mouth: The pH of saliva is usually slightly acidic to neutral, hovering around 6.5 to 7.5, so as to ensure proper functioning of the enzyme salivary amylase or ptyalin. Stomach: The pH of stomach is very low and highly acidic, being around 4 to 6 in the upper stomach and around 1.5 to 3 in the lower stomach! This low pH is due to the hydrochloric acid in stomach, which helps to ensure proper functioning of enzymes pepsin. Acidosis is a condition where there is low pH level in the body, due to which the blood becomes acidic. This happens due to the hydronium ion concentration increasing in the blood. So, when its value in blood falls below 7.35, then acidosis symptoms start showing up. This usually happens when there is less oxygen and an increase in the carbon dioxide content in the blood. There are different kinds of acidosis, like respiratory acidosis, metabolic acidosis, diabetic acidosis and lactic acidosis. Thus, the symptoms and treatment for each of these will vary accordingly. Alkalosis is a condition where the pH levels in the body increase to more than 7.45, usually due to a decrease in the hydrogen ion concentration. There are primarily two types of alkalosis, which are, respiratory alkalosis and metabolic alkalosis. Alkalosis of the respiratory kind is usually due to hyperventilation, because of which there is loss of carbon dioxide. Metabolic alkalosis is due to excessive vomiting, leading to loss of hydrochloric acid from the stomach. One of the main dangers associated with alkalosis is hypokalemia. Thus, the symptoms seen include muscle weakness, muscle cramping and constipation. In such cases, the pH must be restored and the treatment will vary depending on the type of alkalosis. It’s a bit controversial, but you should know that using a microwave oven could be damaging your health. Swiss scientist Hans Hertel did independent research on microwave cooking that was once banned from publication by a court gag order demanded by an industry association. He was told to recant or be arrested. His findings were not favorable for microwave-oven users. Hertel’s research corroborated early Soviet Russian research that led to a ban on microwave ovens, which was lifted after the “iron curtain” fell to increase microwave oven sales. Both Hans Hertel’s research and the Soviet Russian research went beyond the commonly accepted dangers of microwaves leaking into the immediate environment and lowering nutritional value of microwave-cooked foods – two very real consequences of using a microwave oven. Hertel is quick to point out that microwaves from the sun don’t cause the same type of molecular damage because the sun emits direct current (DC) pulses, where microwave ovens are generated by alternating current (AC) that causes the rapid polarity shifts in molecules to torque and tear them. So it’s the water molecules in foods that are directly agitated first to produce frictional heat. Even worse, using a microwave oven for heating water for coffee or tea or for warming baby’s formula will create severely damaged molecules, which are carcinogenic. More on that later. Strange and unknown compounds are created by microwave energy’s penetration into organic matter. They’ve been called radiolytic compounds. Some scientists argue that normal cooking creates these as well. However, Hertel’s research has indicated that far more radiolytic compounds are created by microwave cooking. Hertel used human trials to demonstrate that the food and liquids damaged from microwaving modifies the cellular activity in humans consuming them. In addition to creating lower red blood cell counts and white blood cell (immune system “killer cells”) damage, one’s normal cells can be forced by the damaged molecules and radiolytic compounds to adapt into an emergency mode of energy production. Cells are forced from normal cellular oxidation of glucose into the anaerobic energy production of glucose fermentation. This is a cancerous condition. Anaerobic glucose fermentation is how cancer cells survive and thrive. It almost seems impossible to omit microwaves completely in today’s fast-paced world. But reducing the use of microwave ovens will help, and that’s something you can feel good about. It is critical to drink an adequate amount of water each day. Water flushes toxins, cleanses the body, and it keeps skin looking healthy and vibrant. I love drinking water, but I know that isn’t the case for everyone. These fruit infused vitamin water recipes are perfect for someone who struggles to drink water everyday. Homemade vitamin water is not sugary like the varieties sold in stores. Fruit infused water has a slight flavor of the fruit and herbs and the fruits give the water a little boost with added vitamins, phytonutrients, and minerals. The homemade version is healthy, delicious and really easy to make. Fill the mason jars with water of your choice. Slice 1/2 lemon place in the water and add a 3 inch chunk of peeled and cut up ginger to the water. Mash the fruits with wooden spoon and place lid on the jar. Refrigerate the water for at least a couple of hours to let the flavors release into the water. Ginger lemon Water is excellent to alkalize the body, and helps with any nausea. Slice the strawberries and place in jar of water along with blueberry and blackberries stir and mash a little with a wooden spoon. This gives your water a delicious light berry flavor and berries are packed with antioxidants. This water always a winner with my kids. Tear the mint leaves and place them in the water with the cucumber slices. Cucumber mint is a very hydrating, light, and refreshing water. Remember you can use just about any fruit and herb combination to make some of the most delicious infused water. Let’s watch the video NOW to see the step-by-step instructions. Go make some today! The master was strolling through a field of wheat when a disciple came up to him: “I can’t tell which is the true path. What’s the secret? What does that ring on your right hand mean?” asked the master. The disciple obeyed, and the master tossed the ring into the middle of the field of wheat. “Now what?” shouted the disciple. “It’s actually the confirmation that there is a very, very large amount of water that’s trapped in a really distinct layer in the deep Earth,” said Graham Pearson, lead study author and a geochemist at the University of Alberta in Canada. The findings were published today (March 12) in the journal Nature. 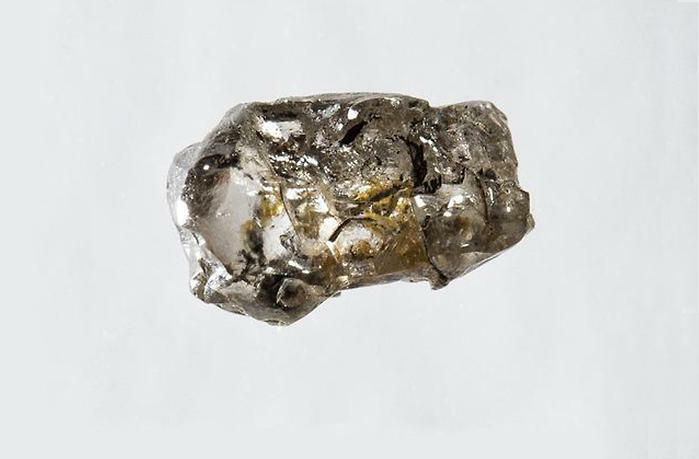 The worthless-looking diamond encloses a tiny piece of an olivine mineral called ringwoodite, and it’s the first time the mineral has been found on Earth’s surface in anything other than meteorites or laboratories. Ringwoodite only forms under extreme pressure, such as the crushing load about 320 miles (515 kilometers) deep in the mantle. Most of Earth’s volume is mantle, the hot rock layer between the crust and the core. Too deep to drill, the mantle’s composition is a mystery leavened by two clues: meteorites, and hunks of rock heaved up by volcanoes. First, scientists think the composition of the Earth’s mantle is similar to that of meteorites called chondrites, which are chiefly made of olivine. Second, lava belched by volcanoes sometimes taps the mantle, bringing up chunks of odd minerals that hint at the intense heat and pressure olivine endures in the bowels of the Earth. The diamond from Brazil confirms that the models are correct: Olivine is ringwoodite at this depth, a layer called the mantle transition zone. 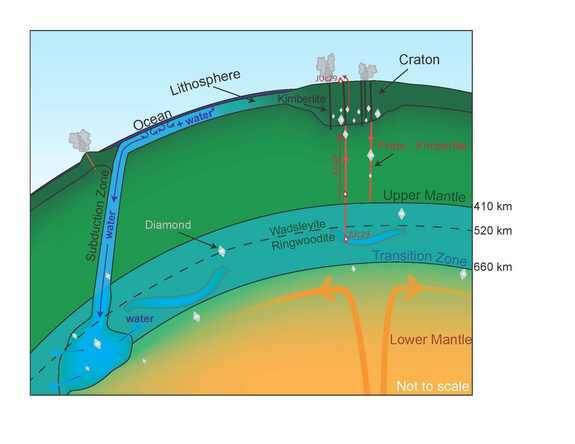 And it resolves a long-running debate about water in the mantletransition zone. The ringwoodite is 1.5 percent water, present not as a liquid but as hydroxide ions (oxygen and hydrogen molecules bound together). The results suggest there could be a vast store of water in the mantle transition zone, which stretches from 254 to 410 miles (410 to 660 km) deep. “It translates into a very, very large mass of water, approaching the sort of mass of water that’s present in all the world’s ocean,” Pearson told Live Science’s Our Amazing Planet.